I'm completely smitten with this Gongora. It took two long weeks for the fully expanded buds to open, but it was worth the wait. See the how the base of the lip has an exaggerated s-shape? It's a quirky feature unique to Gongora gratulabunda (and a couple of sister species) which makes it instantly recognizable. What about other gongoras? All gongoras share the same basic construction. The dorsal sepal is in the 6 o'clock position. The lateral sepals are reflexed away from the lip. 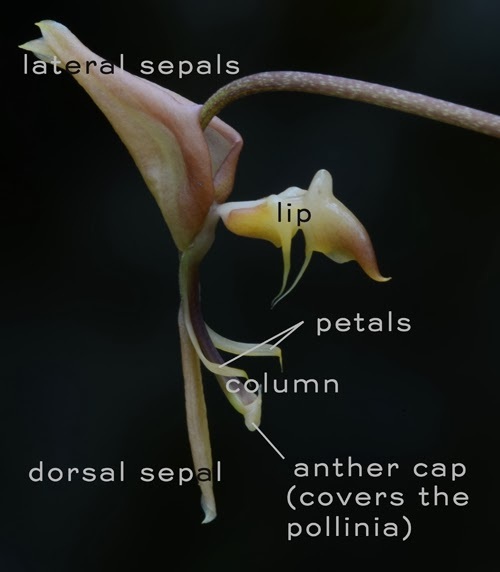 The lateral petals are attached to the column for most of their length. And the lip is in the 12 o'clock position. Above is a very basic diagram of a Gongora lip. 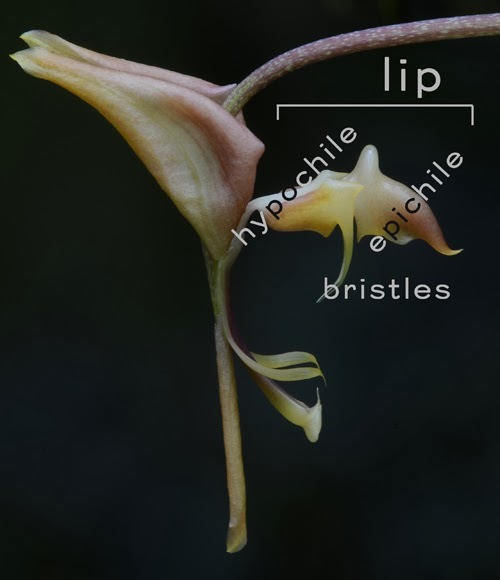 Like a Stanhopea lip, it can be divided into three parts, the hypochile (hypo= below; cheilos=lip), the mesochile (meso=middle) and the epichile (epi=above). A wicked looking pair of bristles arises from the mesochile. 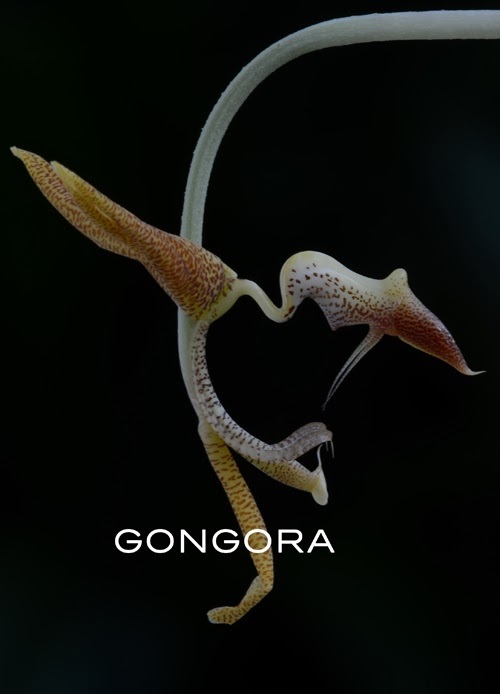 Some species of Gongora have an abbreviated pair of horns projecting from the hypochile, but much smaller than those of Stanhopea. The lip of even the simplest Gongora is intricately constructed, like a tiny ship, and though difficult to photograph, it's definitely worth a closer inspection when you visit the Garden.